This pic is me "dream catching" and was taken at a SAMHSA Recovery Month event in Sacramento, California where ROCKSTAR SUPERSTAR PROJECT performed with guest musicians Veronica "The V" Freeman and members of Benedictum. When I used to hear the term dream catching, I would think of the Native American spider web designed hoops that hung above the cradle of sleeping babies to protect them from nightmares. Dream catching wasn’t something that I would hear in every day conversations and it certainly wasn’t something I heard growing up. However, since becoming part of ROCKSTAR SUPERSTAR PROJECT dream catching has become a part of every conversation! I have become aware that most people don’t speak about their dreams in conversations let alone believe that there is a dream that has been whispered into their soul; a dream that was chosen just for them to experience in this lifetime. I used to be one of those people who would go to work every day and look forward to something in the future that would make my simple, routine life seem more fulfilling. Now don’t get me wrong, I have been blessed in many ways in my life but I always somehow knew there was more. I just never knew how to bring that vision to the front of my mind. Today because of the influence of Super Star’s message and his life work, I have a newfound appreciation for dream catching. I see the value of believing in a dream and the energy and excitement that comes from working towards that dream. It isn’t about visualizing a dream and sitting back waiting for it to happen. It’s about visualizing the dream – feeling it to the core of your entire being and doing whatever it takes, every single day to get one step closer towards that dream. It’s about taking just one more step when you think you can’t. It’s about taking yet another step when you think you can’t experience one more door closing in your face, because that next step could just be that door that opens wide to unlimited possibilities. I wonder how many times in the past I’ve given up on something only to have been able to realize it if I had just hung in there. My work with Super Star has shown me that dreams are for everyone to experience. Being a part of RSSS has become a dream in itself; to be a part of something so awe-inspiring - something that allows me the opportunity to see my strengths and gifts and be able to share with others – to be a part of creating something that makes a difference and inspires others is beyond anything I could’ve imagined. I believe that being part of RSSS was something in the plan long before I even saw it; that a long time ago this dream was whispered into my heart and soul so that one day I would be open to becoming a part of this bigger vision. I look forward to watching others realize that they too have been given a dream to live and finding that strength and hope to press forward to reach that dream. 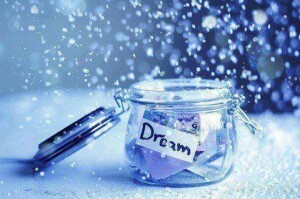 Being open to our dreams and taking those steps to realize them is what life is all about. We were born for a purpose. We have a responsibility to find that purpose and create that life we were meant to have. I believe that it’s never too late. I'll share this quote, author unknown - “We never find exactly what we expected, but rather we find the unexpected. As in those magical moments and memories we capture that enrich our lives to come, as we realize, So this is why I decided to come!” I encourage each of you to open your heart and open your mind and let that dream that was created just for you become a vision ... then make it happen. You too just might find that you have created a life beyond your wildest dreams!